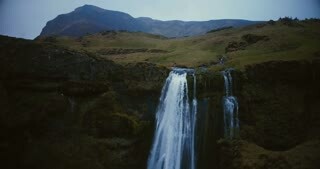 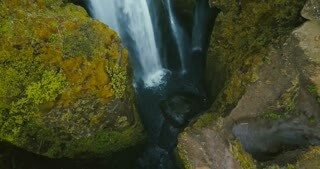 Beautiful aerial view of Gljufrabui waterfall in Iceland. 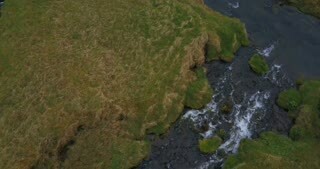 Copter flying near the turbulent flow of water falling down. 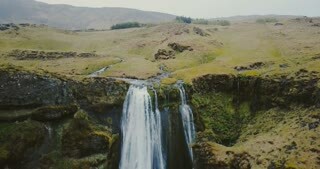 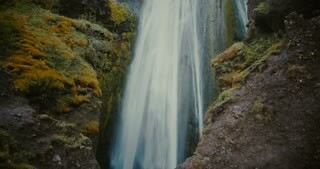 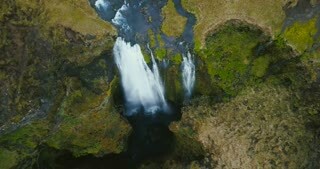 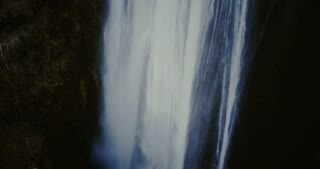 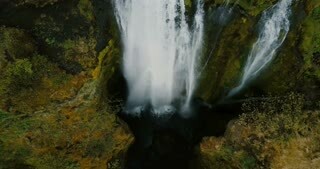 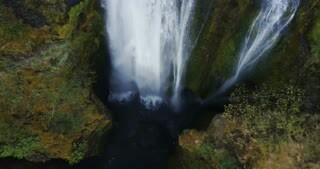 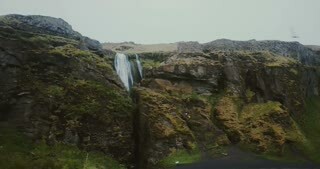 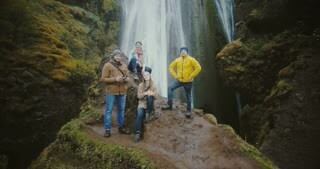 Aerial view of the tourists in Gljufrabui waterfall in Iceland. 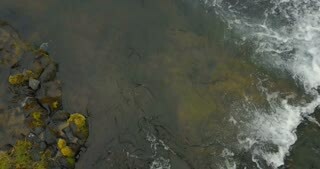 Copter moving away from friends, selfie on drone.